Genesis 1 reveals a marvelous insight into biology—God originally created all plants and animals according to their “kinds” (mîn in Hebrew). But what does this word mean? The context points to the answer. These facts raise important questions for modern scientists. If God finished creating on Day Six, why did so many varieties of animals and plants appear after Creation Week (even new species today)? In every important question of life, including science questions, the key is to go back to God’s Word and learn what it really says. Genesis 1 says that God created plants, trees, fish, fowl, creeping things, and cattle “after their kind.”1 But what exactly does “kind” mean (Hebrew mîn, pronounced “mean”)? Since the meaning of words can vary depending on context, an important principle of Bible study (hermeneutics) is to investigate how the word is used. Some Hebrew words, such as those for day and kind, can have several different meanings, like their English counterparts. To interpret each word correctly, we must look at its usage. Instead of imposing modern scientific interpretations on the text, we should first let the divinely inspired and authoritative text speak for itself. Other than Genesis 1, where does the term mîn (“kind”) occur in the Bible? What significance should we derive from the fact that, on Day Three, flora were created in at least two categories: plants and trees? How does the narrative account of the creation of biological life in Genesis 1 contradict Darwinian evolution? In what ways do the usages of mîn in Leviticus 11 and Deuteronomy 14 inform our understanding of the term in Genesis 1? How does the listing of unclean birds “after its kind” in Leviticus 11 and Deuteronomy 14 help drive home the importance of dietary laws in the life of the ancient Israelites? Why is it important to carefully study the Bible’s own terminology before imposing the results of science on the text? 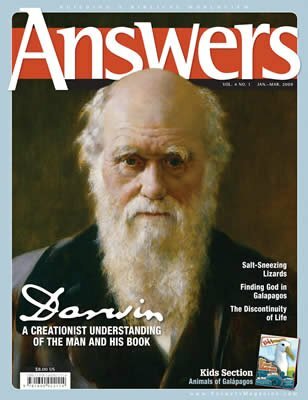 Visit answersmagazine.com to print copies (pdf) of these study questions to use for your family devotions, small group, or Sunday school. The narrative of Genesis 1 follows a specific pattern of command and fulfillment. The phrase “and it was so” (wayehî kēn) indicates a state of completion at the end of most of the commands (see Judges 6:38; 2 Kings 15:12 ). Furthermore, God’s assessment that a given day’s work was “good” (ṭôb) can mean “wholeness” or “completeness” and never includes disease or death.2 Since each “good” assessment is soon followed by a new day, each created kind must have appeared without disease or dying and continued that way to the next day. On Day Five, God creates the fish and fowl after their kind ( Genesis 1:21 ). The text is clear. They did not evolve from a lower species; they were each fully formed, separate kinds capable of surviving and reproducing within the same kind. On Day Six, God makes the land animals “according to their kind.” These animals include cattle (which may include sheep, goats, etc. ), creeping things (which may refer to insects and spiders and, possibly, reptiles and rodents; see Leviticus 11:29–30 ), and the beasts of the earth (every other type of beast based on dry land). The term kind appears again in the Flood narrative. In Genesis 6:20 , God instructs Noah to take on the Ark with him birds, animals, and creeping things, each “after its kind.” In Moses’ later dietary laws, the term mîn comes up again a number of times ( Leviticus 11:14–29; Deuteronomy 14:12–19 ). Unlike the earlier passages, however, the use of mîn in the dietary laws strongly implies reference to varieties within individual species, perhaps subspecies and breeds. Besides referring to “ravens after their kind” ( Leviticus 11:15 ), the laws associate kind with some very specific Hebrew names, many of which are found only once in Scripture (hapax legomena). These rarely used words may refer to well-known variations within familiar species. In each of the cases we have examined, we determine the precise meaning of the Hebrew term mîn based on the context. In other words, its meaning depends on the specificity of the terms to which it refers. When mîn refers to general classifications, as in “beasts” and “birds” in Genesis 1 and Genesis 6–7, kind appears to be a more general biological category, such as the next biological level or two down in the Hebrew classification scheme. In contrast, in passages like Leviticus 11 and Deuteronomy 14, where it references very specific organisms, such as ravens and barn owls, kind appears to refer to more narrow groups, such as subspecies or breeds. More studies need to be done, but sound hermeneutics has shown us many things. For example, contrary to any evolutionary view, Genesis 1 makes it clear that no death occurred when God created all the original kinds. 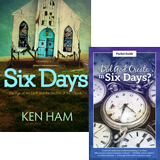 Also, we know that God finished creating in only six days, including the original kinds. 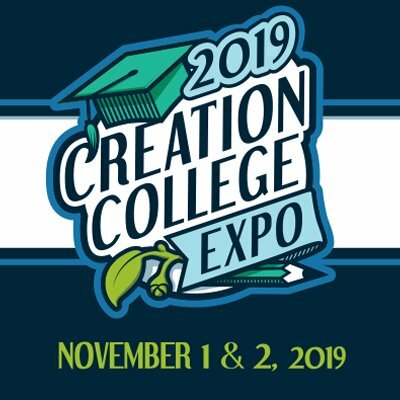 Now it is up to modern scientists and biblical scholars, working together, to better understand the wonderful designs that the Creator placed within His original created creatures to enable their descendants to fill the earth so quickly—with such colorful variety—in the centuries following creation, and later after the Flood. Probably the best scholarly treatise focusing on the use of “kind” is that of Pete J. Williams, “What Does Mîn Mean?” CEN Technical Journal 11:3 (1997): 344–352. Note at this point the strong contrast between life/good and death/evil in Deuteronomy 30:15 . Umberto Cassutto argued that only two categories, plants and trees, are in view as further explanation for the general term vegetation (A Commentary on the Book of Genesis, Part 1: From Adam to Noah [Jerusalem: Magnes Press], p. 40).